Why think about the Bible? "I don't spend much time thinking about whether God exists. I don't consider that a relevant question. It's unanswerable and irrelevant to my life, so I put it in the category of things I can't worry about." "I don't know that Christianity holds anything more of importance for the world. It is finished, played out. The only trouble lies in how to get rid of the body before it begins to smell too much." "Shut up. Shut up, I'm busy." - This was the last message the ship S.S. Titanic sent to the ship Californian on April 14, 1912 prior to striking an iceberg that night. In reply to the Californian's repeated warnings of icebergs, the message was angrily dispatched by the Titanic's radio operator who was preoccupied with wiring passengers' mid-Atlantic greetings. 7.1 Regardless of whether or not it's true, is the Bible that important? Undeniably, it's very difficult to tell who believes the Bible and who doesn't based solely on outward appearance. Both consist of the rich, the poor, the intellectual, the ignorant, the happy, the sad; and not one person in the bunch will we find to be perfect. So the question crosses our minds, "Regardless of whether or not the Bible is true, is it even important?" Determining the believability of the Bible is important for several reasons. The Bible claims to be the voice-on-earth of the one true God. It claims to be foundational for learning about the creator of the universe, about being made spiritually alive by God, and about loving one another. But most importantly, the Bible claims to assure us how we can survive the physical death every one of us will suffer. 7.2 A piece of paper says the ship is sinking. Imagine being on a long pleasure cruise; a warm summer evening with the first breeze of dusk just coming over the bow of our ocean liner gliding into the starlight ahead. Silently standing against the railing of the highest deck, we look down to see below us crowds of fellow passengers going about their evenings. Some are strolling along, others are absorbed in this activity or that, a few are laughing, and some are retiring to their cabins below. What we see next strikes us as strangely different from everyone else. Certain people are putting on life preservers and are trying to convince others to do the same. One of them notices our curiosity and hands us documentation that purports to be from the captain. It contains this message: "The ship is sinking". 7.3 What would you do? First questions first: Is this message really from the captain? Is this message important? The importance of the message lies within its truthfulness. If it's not true, then it's not important. But if it is true, then we need to believe it and act accordingly. So having received notice of the information, what's our next step? We look around. At the moment, everything seems normal. Casual observation neither confirms nor refutes that the ship is or could be in dire straits, but it's a big ship. If the ship were in trouble, a warning of some kind is what we would expect. And a warning long before the sight of drowning family members is when we would want it. On one hand, the passengers who are retiring to their cabins try to assure us, "The ship is fine. It always has been, always will be. " The fact that so many people believe this provides a certain amount of comfort. On the other hand, we cannot deny that the dark ocean floor, miles below us, is crowded with ships like the Titanic that mistook similar assurances for security (crowded in the sense they don't need us to join them!). To this end, the other voices sound out, "Get in the lifeboat - it's the only way you'll make it." The sincerity of both voices only heightens the mystery: Is this ship really sinking? How can we know? What do we do now? (1) We could do nothing. Totally ignoring the message leaves us on the ship and wearing no life preserver. So if we are going to stay, we may as well make the most of it and go with option two. (3) We could assume the message is correct and get into the lifeboat. There is plenty of time to board, they're still letting people in, and if the ship sinks, slowly or suddenly, we'll be saved. However, there are several adjustments we would encounter. These adjustments include wearing the life preserver (which results in discomfort when trying to move in ways it restricts), leaving behind those things which the lifeboat will not accommodate, and placing ourselves under the lifeboat chief's authority until it departs and we are rescued. Personally, I doubt that I could quickly forsake the many immediate comforts of the ship. Donning a restrictive lifejacket and submitting to some unfamiliar authority isn't my idea of vacation. (Isn't that why we're here?) But who could completely put that warning out of their mind? Some people are saying that the warning isn't authentic. They know about all kinds people who have looked at the ship and said it looked fine to them. We should have faith in their rebuttal of the warning. Or should we? It would be hypocritical to condemn faith in the warning only to take up faith in the rebuttal without having investigated either one. So again, what should we do? What have others done in similar situations done? 7.5 Learn from the mistakes of others. Witnesses tell us that the Titanic initially launched some of its precious few lifeboats only one-third to one-half full. That ocean liner's nickname "Unsinkable" now mocks all 1,517 who remained on board -- some undoubtedly recalling to mind their lost opportunity as they died. While there was still hope of escape, certain passengers had been comfortable in gambling that tomorrow would come and go just as the previous day, and that the lifeboats they had watched leave would soon be returning with very cold and very embarrassed congregations. (4) Check out that documentation to see if it is true. The documentation represents the Bible. The ship is representative of the world, the lifeboat represents the salvation God has provided for us in Jesus Christ, and the life preserver God's Holy Spirit with which each believer is sealed as a guide and guarantee of God's grace. So what similar life-or-death consequence does the Bible boast that it should be given consideration? 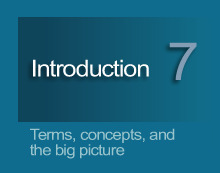 7.7 Where does the Bible fit in? The Bible's message is largely a positive one of God's love for humanity; collectively and personally. Yet the message is also one of humanity's desperate need to receive God's forgiveness and regeneration; not just collectively but also personally. This includes confessing our sinfulness to him and personally receiving his forgiveness as earned for us by Jesus Christ. By being drawn by God to believe in him, and receiving his forgiveness, and being given the Holy Spirit in return, we are spiritually reborn (or "born again"). We are sealed and legally set apart (though not separated) from everything corrupted by sin and death - things God's character of justice has slated to destroy. In terms of our analogy, we can either receive the security and guidance of God's Holy Spirit today, guaranteeing our eternal rescue into his presence, or eventually go down with the world which God has graciously warned us in advance must be destroyed. The point is that the Bible's message does claim to be a matter of eternal life or death. Therefore, if the message is true, it is extremely important. 7.8 Are you in the majority? Is there a God? Is Jesus God? Did Jesus' death and resurrection secure your forgiveness or not? If the ship is sinking, is the Jesus-lifeboat the right lifeboat? With eternity potentially at stake, simply investigating the documentation we've been left with is positively the most reasonable way to avoid gambling away the future. Curiously, the Bible predicts that most people will actually end up neglecting Christ and forfeiting his offer of life. But that's not hard to imagine considering that when those lifeboats left the Titanic, the majority remaining on board did drown, didn't they? NEXT: What is the Bible all about? We each have only so much time and there are a million ways to spend it. The Bible takes a long time to read and a lifetime to study, so the call to examine it better be good. I pray you'll find this a reasonable justification. 1. Is it even important? 2. A warning about the ship. 5. Learn from others' mistakes. 7. Where the Bible fits in. 8. Are you in the majority?